July 2015 - TSP S.r.l. 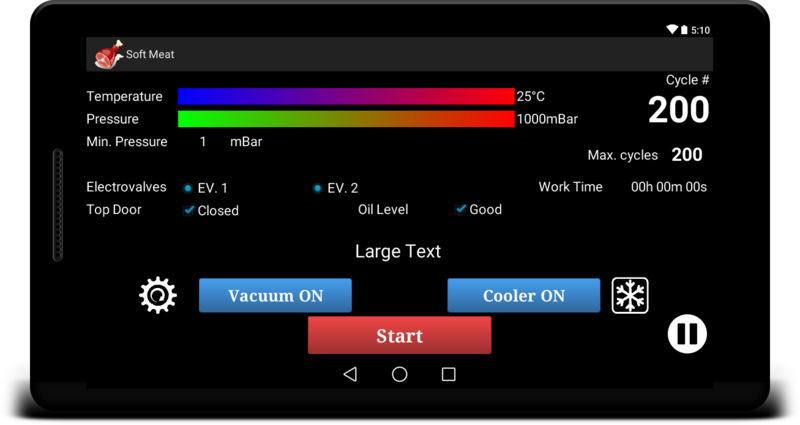 The Android operating system is increasingly popular and is beginning to emerge for the ability to build hybrids systems for industrial automation in which the panel for the operator works with software developed for this OS. Given the computing power available, you can implement all control loops directly into the panel and thus realize a single project for the interface and control strategies. Communication to and from the machine can be achieved via Bluetooth, WiFi, USB or serial ports, depending on their availability. For interfacing to high power devices and sensors it is necessary only an electronic card capable of performing the functions of acquisition, control and communication required and not available directly via the panel. This creates an efficient and economically competitive structure capable of supporting the most different needs ensuring totally customizable user interface, multinguages and ready for future updates. comunicate by VCOM 115k2,8N1 su USB. For more information you can contact us through this form.